Experience this country and its beautiful terrains in a different way.. on bike! 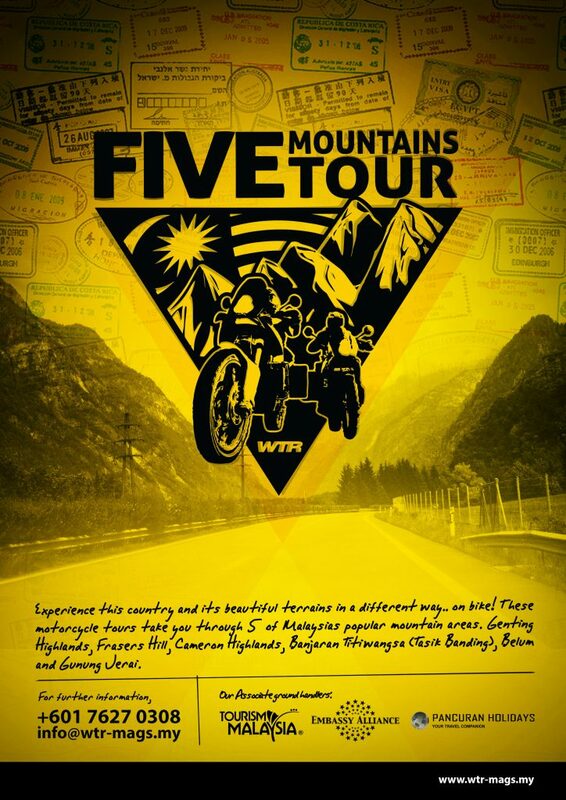 These motorcycle tours take you through 5 of Malaysia’s popular mountain areas. Genting Highlands, Fraser’s Hill, Cameron Highlands, Banjaran Titiwangsa (Tasik Banding), Belum and Gunung Jerai. Contact your WTR representative today for enquiry, rates, and complete tour information. Contact your WTR representative today for bookings, rates, and complete tour information.